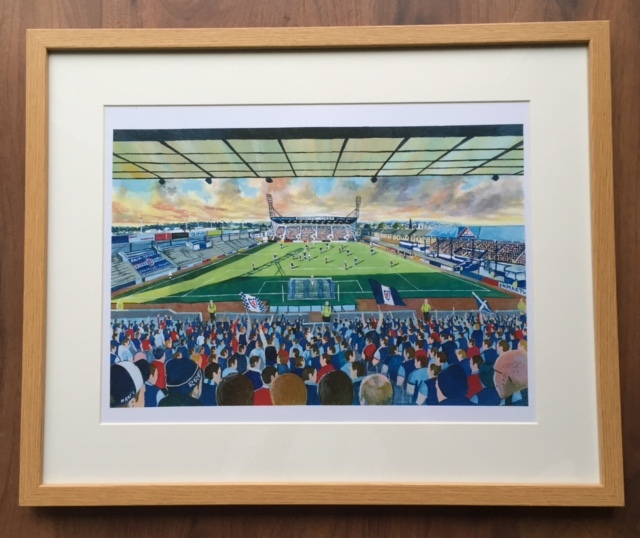 Raith Supporters Trust » Blog Archive » Starks Park Artwork on sale now! Starks Park Artwork on sale now! The Trust have teamed up with renowned artist, James Muddiman to bring Rovers supporters the opportunity to buy a fantastic new painting of Starks Park. The painting has only been completed in the last few weeks and the Raith Trust have A3 sized prints available to buy for only £15. These can be purchased at the Raith Trust table in the South Stand concourse before home games at Starks Park. The Trust have also announced dates for two events this season, the Raith Trust Quiz will be on Thursday 24th September 2015 and the Raith Trust Burns Night will be held on Saturday 23rd January 2016. Keep the dates in your diaries – more details to be announced soon.